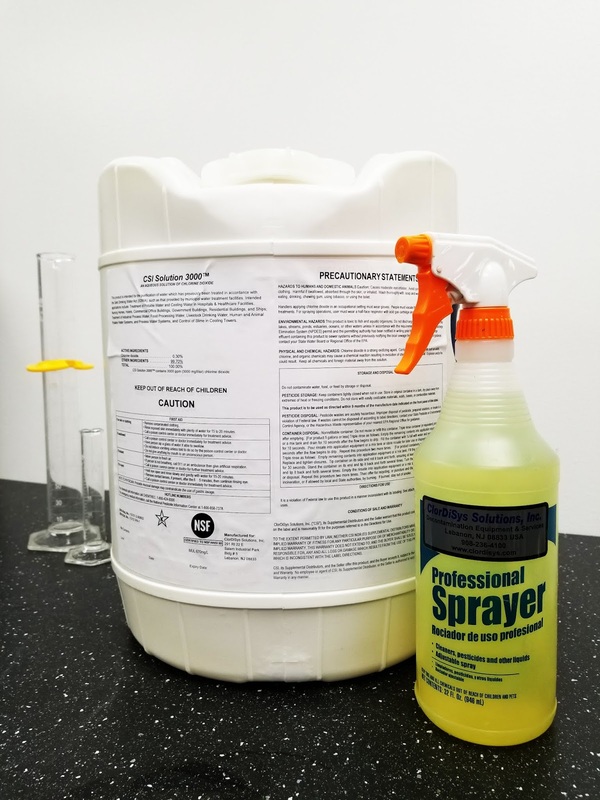 Chlorine dioxide has been recognized as a disinfectant since the early 1900s and has been approved by the US Environmental Protection Agency (EPA) and the US Food and Drug Administration (FDA) for many applications across a variety of industries. Liquid chlorine dioxide is very versatile and can be used to wipe down surfaces, fog, pour down drains, and more. 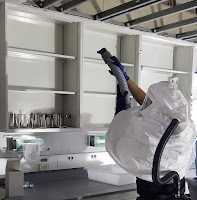 Fogging is a simple, affordable approach to decontaminate a space, but it will not penetrate as perfectly as chlorine dioxide gas into every space in a facility, but fogging can be useful dependent on your facility’s needs. Adding liquid chlorine dioxide to drains is crucial, because these hot spots harbor harmful organisms likely to spread to other areas causing a more widespread issue. Chlorine dioxide is especially effective at biofilm removal, so adding the continued use of liquid chlorine dioxide to your company’s sanitation program will dramatically reduce and prevent biofilm formation. CSI 3000™ is an EPA-registered (#75757-2) pure chlorine dioxide concentrate. No on-site mixing or “activation” is required, just dilute from the 3000 ppm to the necessary concentration. It is easier to apply, safer to handle, and more effective than chlorine or bromine-based products. It is used to control microorganisms in food, research, production, pharmaceutical and agricultural applications. Liquid chlorine dioxide can complement your everyday cleaning practices. To learn more about the applications and benefits, click here or call ClorDiSys at (908) 236-4100.